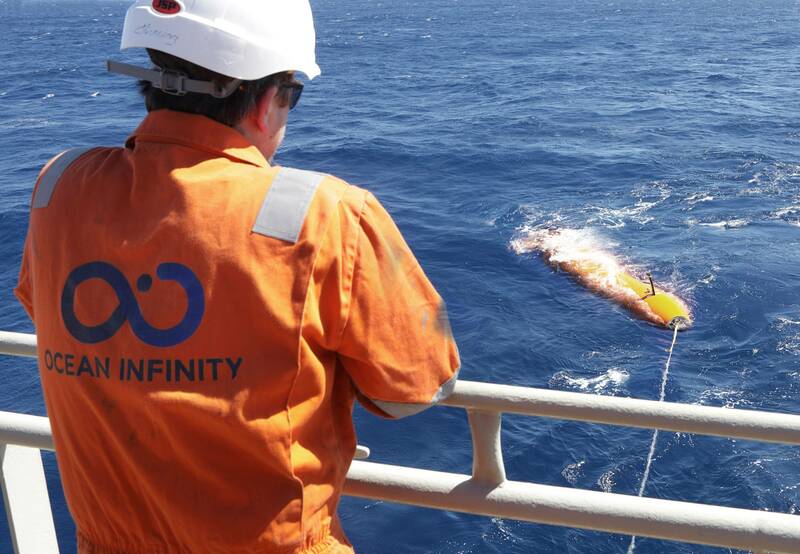 Ocean Infinity, the U.S. company currently searching for missing Malaysian Airlines flight MH370, said it has grown its fleet of 6,000 meter rated Kongsberg HUGIN autonomous underwater vehicles (AUV). The latest purchased HUGIN vehicle, Ocean Infinity’s ninth, will be specifically configured to conduct under-ice surveys and features Kongsberg’s Highly Integrated Synthetic Aperture Sonar (HISAS). Other sensors include a Kongsberg EM2040 multibeam echosounder installed in an upward facing modular payload section for surveying the underside of the ice, as well as an upward looking Doppler Velocity Log (DVL) installed in the same section to aid under-ice navigation. When needed, the vehicle can also be configured for traditional surveys with the EM2040 multibeam echosounder facing down, Ocean Infinity said. “This is an exciting addition to our fleet which means there is now almost no place beneath the oceans we cannot investigate, survey and explore,” said Ocean Infinity CEO, Oliver Plunkett. 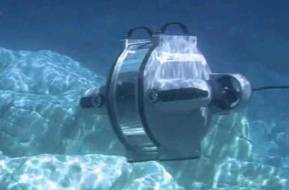 The AUV is scheduled to be delivered to Ocean Infinity in December of 2018 and put to work on a scientific research projected scheduled for the beginning of 2019. 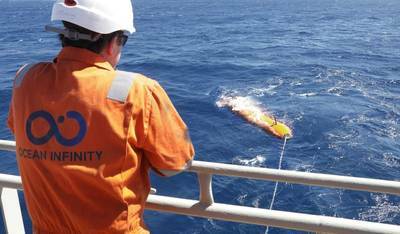 As part of its search for MH370, Ocean Infinity is currently using eight HUGIN AUVs equipped with side scan sonar, multi-beam echosounder, sub-bottom profiler, HD camera, conductivity/temperature/depth (CTD) sensor, self-compensating magnetometer, synthetic aperture sonar (SAS) and a turbidity sensor. Malaysia agreed to pay Ocean Infinity up to $70 million if the plane is found within 90 days. In October 2017, Ocean Infinity deployed six HUGIN vehicles to depths greater than 5,000 meters in the North Atlantic as part of the deepest known commercial dive performed by multiple AUVs simultaneously.